Join a journey full of adventures! Slip into the role of crumbs, the tomcat. 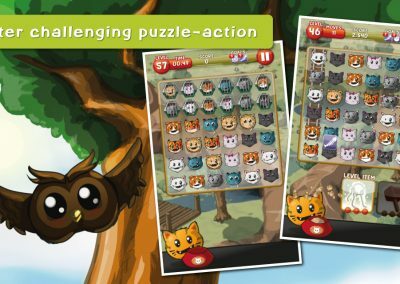 Let the wise owl Hermes guide you through a magical, lovingly designed world with lots of exciting and challenging levels. 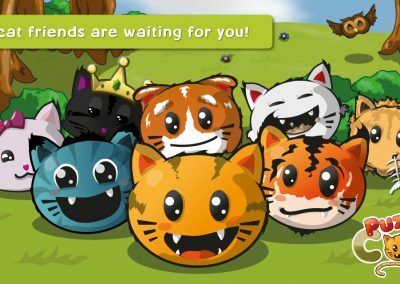 Meet cat friends and bring them together: Combine clever, use items skillfully and show up quick reactions in varied missions. 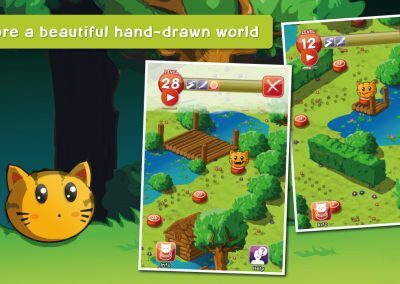 Time after time you will make new discoveries during the course of the game! 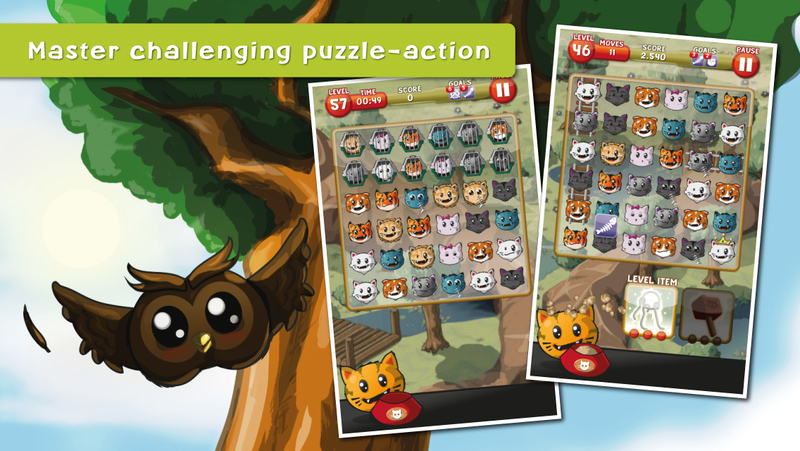 A sugar-sweet game for young, the young-at-heart and all cat friends, naturally. 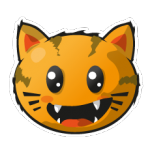 Puzzycat is FREE TO PLAY! 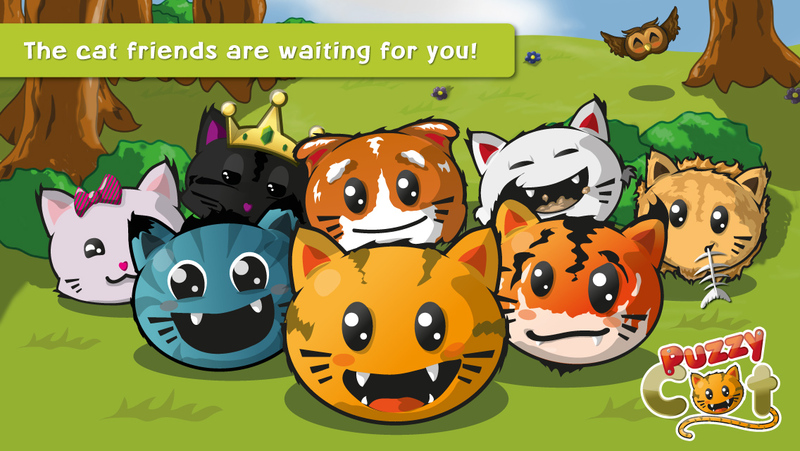 Goldfishes (the ingame-currency) are available for payment, but you can also find goldfishes in the game. 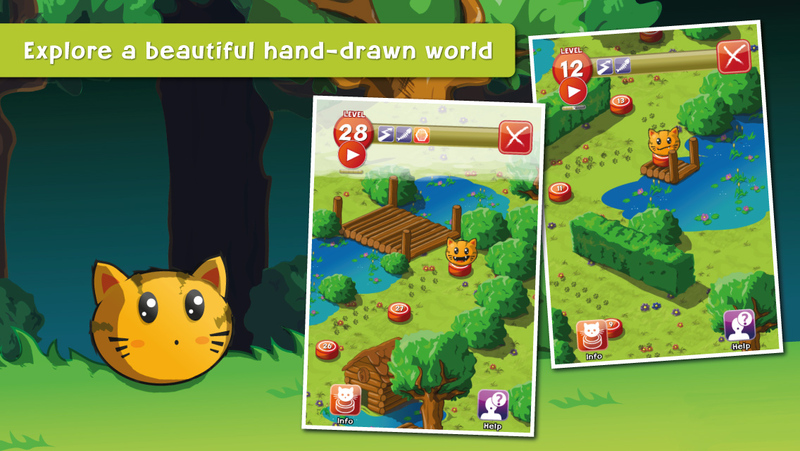 …and time-based levels with concentration and quick reactions.